Destinate is available exclusivly for iOS. Destinate allows you to add an unlimited number of destinations to your route in any order you prefer. 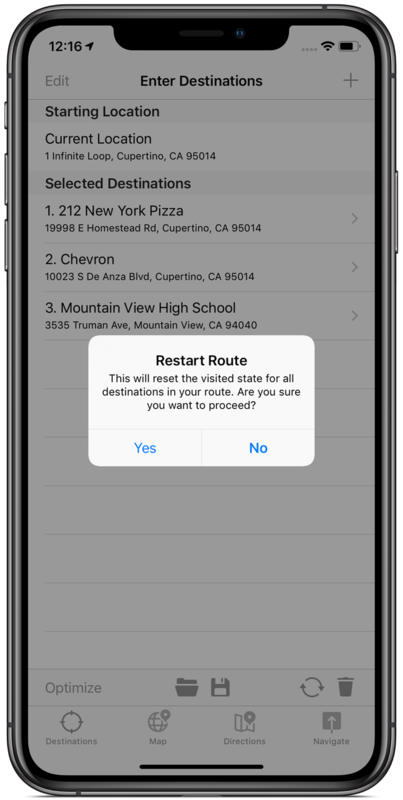 Save and load as many routes as you want to keep your repetitive travels organized. No route is too large or too small; Add one destination or add hundreds — Destinate will guide you every step of the way. 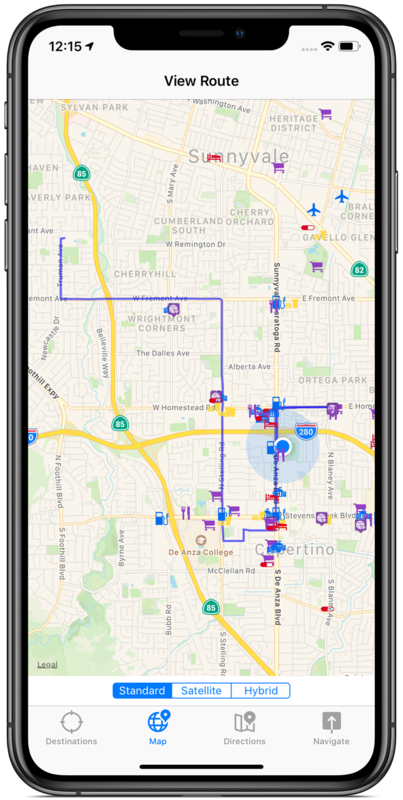 Destinate optimizes your route to make the most out your time. Have a destination you prefer to visit before another? Simply drag it into any spot you want and Destinate will generate the best route to get you to each one. 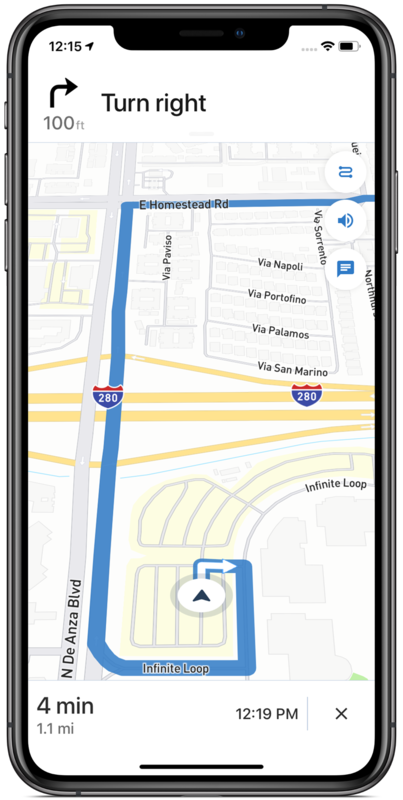 Built-in turn by turn GPS navigation so that you can plan your route and navigate to each of your destinations without needing to ever leave the app. Utilizing the power and flexibility of OpenStreetMap©, Destinate guides you to your destination every step of the way. Lose your GPS signal? 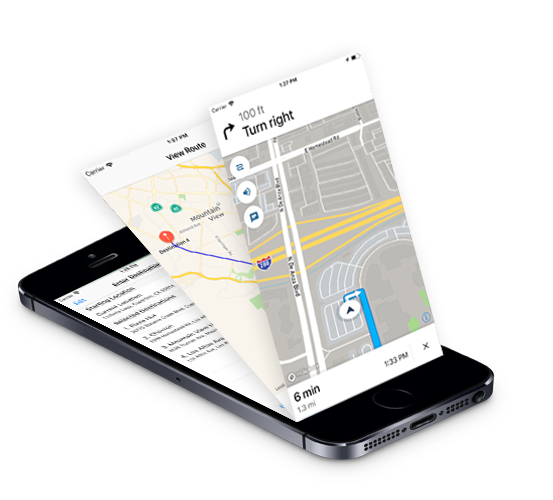 Destinate has you covered with its built-in data caching and dead reckoning capabilities to make sure you never lose your way, even when your GPS signal does. Destinate is a full featured travel accessory. 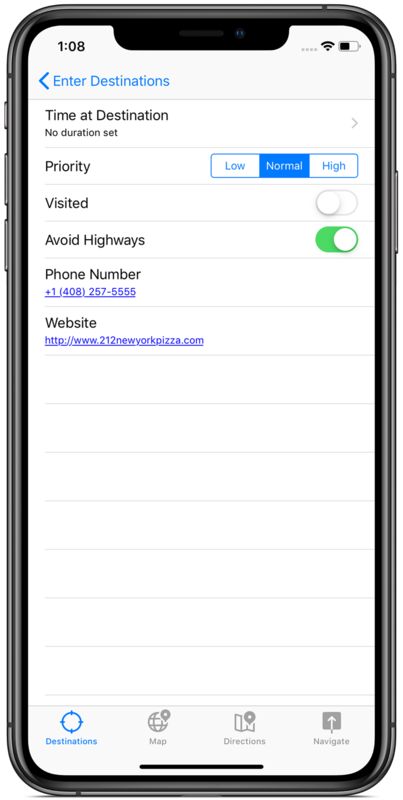 Plan your routes by adding an unlimited number of destinations and control the order in which you visit each one. Avoid highways for each destination, enter your anticipated duration for each destination and more. Know how long it will take to arrive at each of your destinations. We know your time is valuable, that's why Destinate makes the most of it. Destinate is the perfect companion to take on any trip. Build an itenerary of destinations to visit while on vacation to maximize your time effectively while ensuring you have the time to enjoy each. 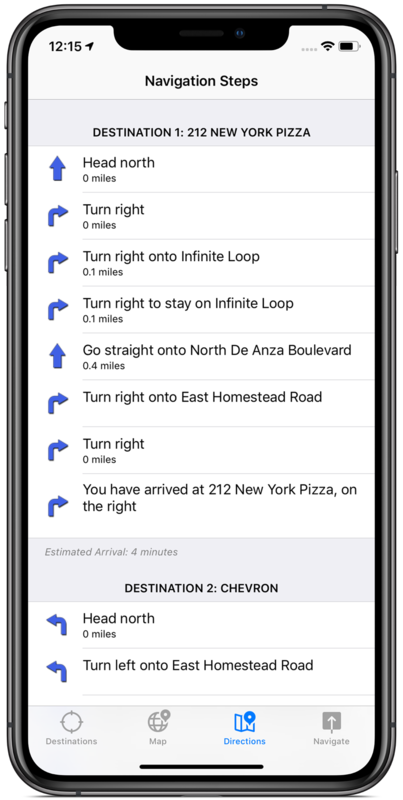 Multiple delivery stops are also a breeze with Destinate's built-in route optimization that works in the background while you are planning your trip. 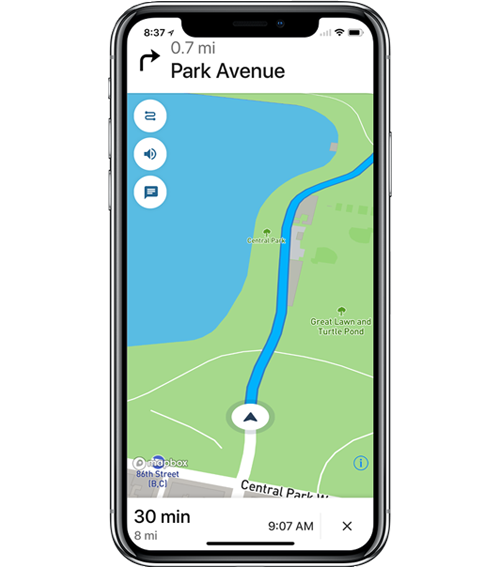 Integrated turn by turn directions and built-in GPS navigation with voice guidance means that you never have to leave the app to get you to your destinations. 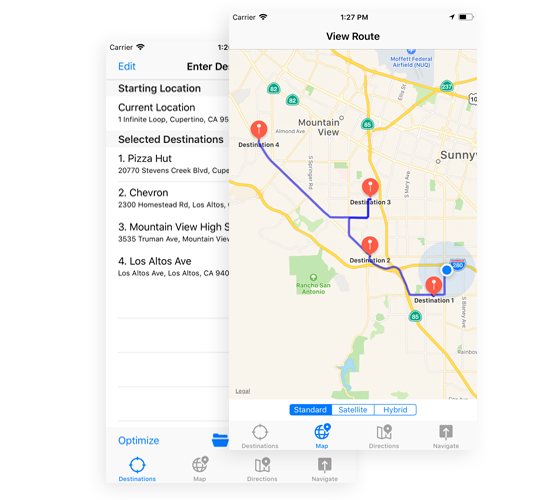 With an intuitive interface, Destinate is sure to become your go to app for route management! 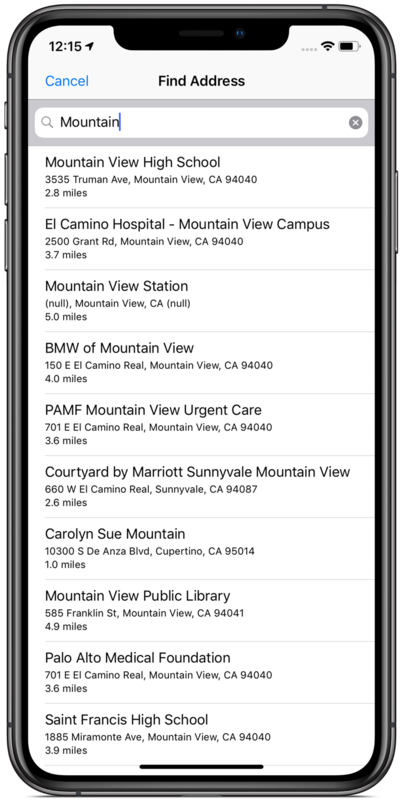 Destinate is available exclusively for Apple iOS. Find a bug in Destinate? Have an idea for a new feature? Email us at waypoint@blendernet.com and we will get back to you as quickly as possible. For new feature requests, please be as descriptive as possible. By submitting a feature request, we may need to contact you with any questions about your idea. We will only use your email address in the event that we need clarification or additional information to implement your requested feature. Your email address will not be used for any other purpose and will only be retained until your feature has been implemented into Destinate. You may also use our Support Center to get help with Destinate or to check on the status of an existing ticket. Please select Destinate as the Help Topic and provide as much detail as possible so that we can assist you with your problem or properly implement your requested feature. Please provide as much detail as possible to reproduce the bug you have found. We will use your information to respond to you regarding the reason you contacted us. We will not share your information with any third party outside of our organization, other than as necessary to fulfill your request, e.g. to ship an order, implement feature requests into Destinate or resolve bugs in Destinate. You may opt out of any future contacts from us at any time. You can do the following at any time by contacting us via email at waypoint@blendernet.com or via our support helpdesk. Copyright © - 2017 - 2018 Joe Estock. All rights reserved.